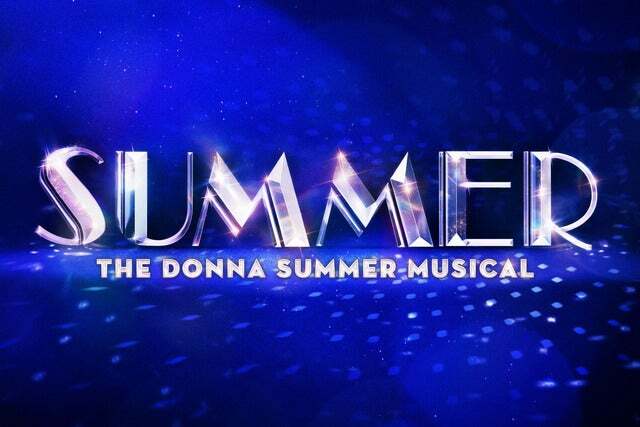 Summer: The Donna Summer Musical (NY) is On Tour! Summer: The Donna Summer Musical is a musical with book by Colman Domingo, Robert Cary, and Des McAnuff and music and lyrics Donna Summer, Giorgio Moroder, Pete Bellotte, Paul Jabara, and others, based on the life of Donna Summer. The musical made its premiere at the La Jolla Playhouse in November 2017 and opened on Broadway in April 2018. The La Jolla Playhouse presented the musical in a limited engagement from November 7 until December 24, 2017. The musical premiered on Broadway at the Lunt-Fontanne Theatre on March 28, 2018 (previews), prior to an April 23, 2018 opening. The musical is directed by Des McAnuff, with scenic design by Robert Brill, costumes by Paul Tazewell, lighting by Howell Binkley, projections by Sean Nieuwenhuis, and sound by Gareth Owen. Summer: The Donna Summer Musical (NY) has no reviews.